However, two online services are slowly changing the way this knucklehead, moi, thinks: Groupon and Social Living. If you’re looking for things to do this weekend, or any weekend for that matter, you can’t go wrong with the bargains and deals available on Groupon and Social Living. 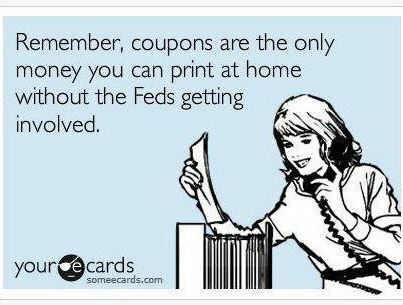 And you’re not (thank goodness) clipping a lot of coupons, only ones for the services and deals that appeal to you. No kidding. There are a lot of really cool things to do at half the price. And it’s not just about activities; there are dinner and dancing deals, beauty offers, such as massages and spa visits, as well as home decorating services. For example, on Social Living there’s an offer for $400 worth of flooring at the price of $180. Of course you have to read the fine print. However if you’re looking for hardwood flooring, (which I am) you can’t beat it. About four weeks ago, my daughter and I went for archery lessons, courtesy of Groupon, and we had a blast! We received about an hour and a half lesson for the price of $25. Yes, the two of us for only $25. The instructor was so helpful and knowledgeable. And get this, the other people (there were six of us in total) attending the class also heard about it from Groupon! Now, I can shoot a mean arrow! I feel like the little girl in Brave. On second thought, I could give Robin Hood a run for his money. (Okay, maybe not. But you get the point.) No pun intended. Really! The deals on Groupon and Social Living are offered by popular, established businesses as well as those trying to build their customer base. You can customize the deals for your area and pick and choose your interest. At the risk of sounding like their spokesperson, (which I am not. But after this post, perhaps someone should think about it) try Groupon and Social Living. It’s free to sign up, and you’ll enjoy the deals. I have to admit, it’s one of the few examples of cutting through the mire, only to receive something good in the end. Happy Friday. This entry was posted in Life, Thoughts and tagged archery lessons, Brave the movie, coupons, hardwood flooring, life, robin hood, shopping, spa visits, things to do this weekend, Thoughts.